What if you already are your best self? 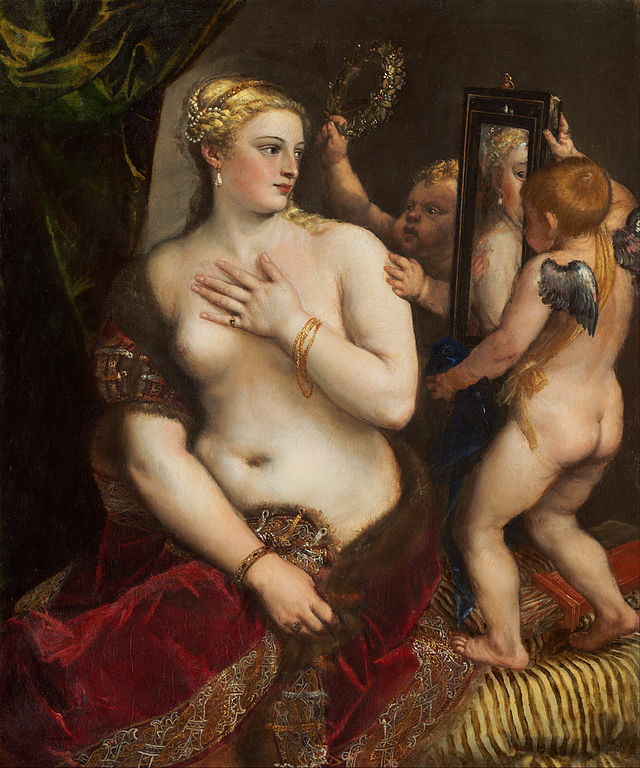 Titian, Venus with a mirror, 1555. From your gloomy weather, ‘why did the holiday season have to end’ misery and constant bombard of diet ads – Tis’ the season to throw away your phone and walk with your eyes closed – I’ve only just recovered from the blues of it all. But, the theme of this month and every January to come, got me thinking. What if you’re already your best self? Exclude the five mince pies you ate in one day over the Christmas period and the happy switching between Baileys, wine, and Disarano (which is an absolute delight mixed with Prosecco, Chambord and superfruit berry juice – you can tell I had an interesting Christmas). Is it possible that who you are today is the best version of yourself? A friend once told me, to be the best, you must accept yourself wholeheartedly; the good, the bad, the boring, the ugly…every bit of who you are. While that quote doesn’t sound as philosophical, writing it months later, as it did when I first heard it, the mantra remains true. As a mantra for self-acceptance, self-improvement and self-love. But also a tool to navigate your way through life, and make things a little ‘clearer’. While I can acknowledge, I have character flaws ranging from only-child-syndrome to a magnificent ability to block off emotions, in the same way, you’d throw your toys and clothes under your bed when your mother told you to tidy up your room. It’s not efficient or helpful. Even if everything at surface level looks pleasant. Rather than setting out resolutions for this year, let’s lean into who we already are, flaws and all, and start to dismantle the dream of becoming this hypothetical version of ourselves. While she may be the life of every party, never has to struggle with what to wear, and always has a hot date. What makes us extraordinary is the fact that we aren’t perfect, and the honest truth is, you will never be a million times better than you already are. So learn to accept and embrace who you are now, it will make life so much easier and you a lot happier. Next Post What is wellness?